What voltage is needed to charge a vehicle battery ? A vehicle battery needs at least 12.9 volts to charge, but the charging rate at this voltage is very slow. Alternator voltages and car battery charger’s voltages can go over 15V safely, as long as making sure that it isn’t overcharged. Higher voltages allow the battery to charged faster. However a float voltage of 13.6V to 13.8V is usually used if you want to leave the battery on the charger. Could vehicle battery be frozen when the weather gets too cold ? As long as a lead-acid battery is fully charged the electrolyte is a vitriol with a freezing point of below -40°C. During the battery is fully discharged all the sulfate ions are used and the electrolyte is mostly pure water with a freezing point of zero degrees Celsius. Then, it is not uncommon to go out to a car that has a dead battery in the mid-winter and find that the battery won’t accept any charge. It needs to warm up before it can be charged, and then it won’t freeze again until it going to be discharged again. What are the main keys to longer battery service life? When I want to buy a battery, what specs should I consider? POWER: The CCA (Cold Cranking Amps) required to power your vehicle. WARRANTY: Vehicle batteries are backed by a warranty. Chose it wisely for your vehicle’s needs. Why is it so important to remove the ground wire first when I am replacing my battery? Check the type of vehicle grounding system every time before you start. If you remove the positive connector first, you risk the chance of creating a spark. That might happen if the tool you’re using comes in contact with any piece of metal on the car. If you are working near the battery when this occurs, it could create a combustion source that might cause an explosion. It’s extremely important to remove the ground wire (negative connector) first. What can excessive heat due to a battery ? Hot temperatures will decrease a battery’s life quicker by vaporizing the water from the electrolyte and corroding and weakening the positive grids. How could I be sure my vehicle battery must be replaced? First, you need to do some troubleshooting because of many other issues might keep your car from starting. Battery suppliers and stores will do some free of charge battery testing. So that is good for the first step. How can I Jump Start safely my vehicle? Batteries have explosive gases. Don’t try to jump-start a defective battery or battery that is frozen. Batteries contain vitriol, for your safety if any gets on your skin or in your eyes, flush with running water and get medical help immediately. Never recline over the battery when making a connection or disconnection. Have knowledge about the difference between the negative and positive battery terminals and the negative and positive pins of the jumper cables. Positive is indicated by a (+) sign, and the red color; negative is marked by a (-) sign and the black color. The colors may differ but (+) sign and (-) sign in most instances. Park the cars close enough to each other and turn off both keys. Connect the positive pin of the jumper cable to the dead battery’s positive terminal. Connect the other positive pin of the cable to the positive terminal of the battery in the starting vehicle. Connect the negative pin of the cable to the negative terminal of the battery in the starting vehicle. Connect the other negative pin of the cable to the vehicle’s engine block, or other metal surfaces of the car–away from the battery. This metal surface is exclusive of the carburetor on the car with the discharged battery. This serves as your ground or connection point. Make certain all cables are clear of fan blades, belts and other moving parts of both engines and that everyone is standing away from the vehicles. Start the car of the battery providing the jump start; then try to start the car with the dead battery. If the car doesn’t start, wait a few moments and try it again. How many volts vehicle needs to start ? Fully charged vehicles batteries should minimum measure at 12.6 volts. When the engine is running, this measurement should be 13.7 to 14.7 volts. How often must you change your vehicle battery ? Three years are a normal time to install a replacement battery. After four or five years, most car batteries will be completely unreliable. Fortunately, nowadays it’s easy to recognize if your car’s battery is close to the end of its lifespan. How Could I have longer battery life ? The life expectancy for your car battery is typically between three to five years. Many factors determine how long your battery will last, for example, weather conditions, vehicle type, and driving habits. Could dead car battery cause explosion? If you connect the negative jumper cable to the battery itself, any lingering hydrogen may be ignited by the ensuing spark. … That, in turn, can ignite any hydrogen present in the cell, causing the battery to explode. 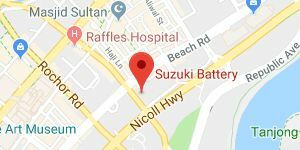 Can vehicle battery be overcharged ? If you leave the charger connected for a long time, even at a mere 2 amps, the battery will die. Overcharging a battery causes excessive gassing — the electrolyte gets hot and both hydrogen and oxygen gas are generated. … On sealed batteries, the buildup of gases could cause the battery to explode. Why are vehicle batteries dying? When the active material in the plates can no longer hold a discharge current, a battery “dies”. Normally a car battery “ages” as the active positive plate material sheds due to the normal expansion and contraction that occurs during the discharge and charge cycles. Could vehicle run without the battery ? Yes, a vehicle can run without a battery, if the alternator is big enough to support all of the electrical needs. This is because your alternator is enough to keep the car alive and driving since the motor is already on, however, you probably won’t be able to use accessories like the radio, even turn signals, but it depends on how many volts your alternator can generate. Can a dead battery stop a running vehicle ? If your battery is dead your car will run, but you’re at risk of stalling out. When your battery is not putting out enough power, the alternator has to work harder to keep the engine running. How long does it take to charge a battery ? So it will take more than 30 minutes to 1 hour to reach fully charged condition from a generic worst case of 70% state of charge of battery. However in a highway drive cycle with high rpm ranges the alternator will generate high amperes and battery will be more than 95% within 30 minutes.